Finishing up their first year and heading into the summer, things are only getting stranger for Esther, Susan, and Daisy! Summer term is starting, and Daisy, Esther, and Susan have nearly made it out of their first year alive. McGraw has a new girlfriend, Daisy is off digging up Romans, and Esther and Ed have landed neck deep in a computerized plagiarism scam run by Dean Thompson! From year-end dances and summer music festival escapades, to new-home growing pains and Romantic German Intrigue, the biggest mistakes are yet to come, as the girls head into their second year of university. 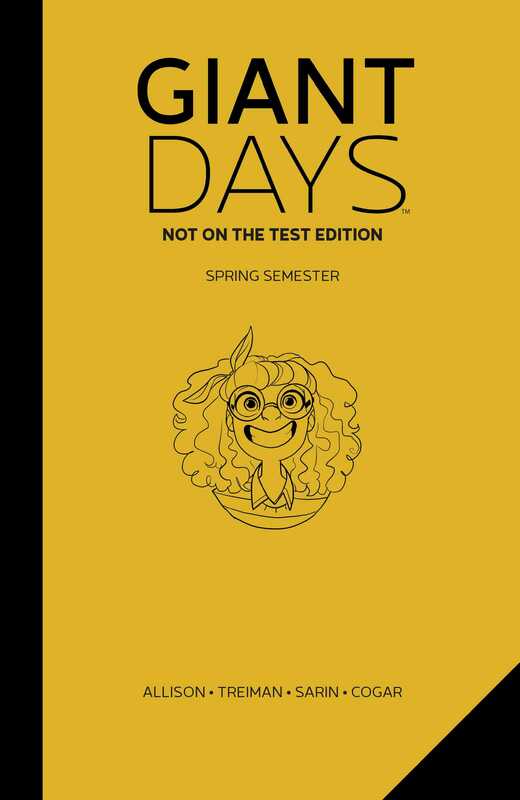 Giant Days: Not On The Test Edition Vol. 3, written by John Allison (Bad Machinery, Scary Go Round) and illustrated by Max Sarin, collects the fifth and sixth volumes of the Eisner Award and Harvey Award-nominated series as well as an issue of the original webcomic in deluxe hardcover.